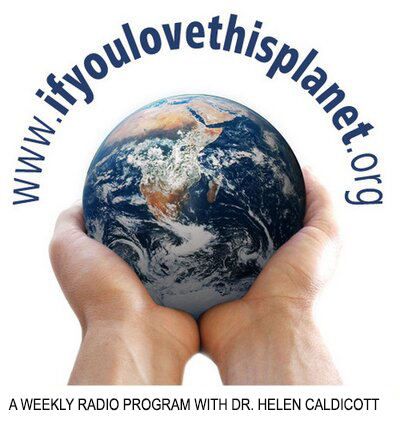 There Is a New Urgency to the Threat of Nuclear Annihilation - Helen Caldicott, M.D. 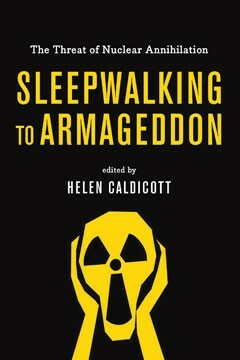 In the following excerpt from her introduction to Sleepwalking to Armageddon, pioneering anti-nuclear activist Dr. Helen Caldicott explains why nuclear catastrophe is still a very real and pressing danger to humanity. Despite Donald Trump’s vows to seal the US border and eradicate ISIS, the real terrorists of the world today are the United States and Russia. They possess 94 percent of the nuclear weapons on the planet, and they hold the rest of the world hostage to their provocative and self-serving foreign policies and misadventures. As a result, we are closer to nuclear war now, at the start of the twenty-first century, than we’ve ever been before, even during the height of the Cold War. While we must be concerned about global warming — the other existential threat to the planet — it is imperative that we do not take our eyes off the nuclear threat. To do so is to risk sleepwalking to Armageddon. Nine countries around the globe are known to have nuclear weapons, many of them on hair-trigger alert. In at least five separate locations in the world, two or more nuclear-armed countries are in actual or proxy wars or standoffs that could escalate at any time. And the United States has elected to the presidency a man who seems to feel that, because they exist, nuclear weapons ought to be used. Donald Trump has implied that he feels tactical nuclear weapons can be effectively employed in battle and seemed to imply in comments about Japan, South Korea, and Saudi Arabia that he had few concerns about proliferation of nuclear weapons to additional countries. During the Cold War, there were restraints on either side between Russia and America. Now, for the first time since the Cold War ended, Russia and America are confronting each other militarily with seemingly no restraints. During the political debate preceding the 2016 American presidential election, Marco Rubio, Ted Cruz, Donald Trump, and Hillary Clinton were overtly discussing the notion of bombing such countries as Syria, Iran, Yemen, and others. And all of them have discussed the use of nuclear weapons. To understand what drives America’s frighteningly militaristic stance and warmongering, follow the money. After the Cold War ended, US negotiators promised Mikhail Gorbachev that America would not enlarge NATO, and the world enjoyed a period of relative peace. But the United States reneged on its promise a few short years later: “No war” was bad for business! In 1997 Norman Augustine, the head of Lockheed Martin, traveled to Romania, Hungary, Poland, Czechoslovakia, and the other newly liberated Eastern European countries and asked: Do you want to join NATO and be a democracy? (Joining NATO doesn’t make you a democracy.) But in order to join NATO, these small countries had to spend billions of dollars to buy weapons. That’s the dynamic that instigated NATO’s expansion from the end of the Cold War to the present time — right up to the border of Russia. Imagine if Russia expanded its territory to the border of Canada with the United States. Remember what America did when Russia placed nuclear weapons in Cuba? We were minutes from nuclear war. More recently, Hillary Clinton has been a recipient of huge amounts of money from the military-industrial complex. So are most members of the US Congress and Senate, with the top donors including Lockheed Martin, Boeing, BAE Systems, Raytheon, Northrop Grumman, General Dynamics, and Airbus in Western Europe. America now wants to enlarge NATO forces and equipment to the tune of $3.4 billion. America also plans to spend $1 trillion over the next thirty years, replacing every single hydrogen bomb, submarine, ship missile, and airplane. In order for Barack Obama to persuade the US Senate to ratify the START III treaty in 2010, he had to promise Senator Jon Kyl (R-AZ), a leading conservative on military issues, that he would replace every single nuclear weapon and delivery system. In the context of these provocations, Vladimir Putin’s speeches are actually very restrained. During the Obama administration, conservatives in the US State Department, including Assistant Secretary of State for European Affairs Victoria Nuland and her husband Robert Kagan, founder of the Project for a New American Century, as well as Samantha Power, US Ambassador to the United Nations, and others, have adopted a policy to prod and provoke Putin, and have overtly stated that they want “regime change” in Russia. Predictably, Russia is renewing its nuclear weapons in response, and so is China. Yes, the United States always sets the trend. Donald Trump, perhaps for nefarious reasons, has seemed more inclined to court Putin, which, in a small silver lining for his election as president, may actually defuse the situation in Ukraine and elsewhere. But we also face proliferation of nuclear weapons in other countries, which could destabilize the balance of terror between Russia and the United States. India and Pakistan each have over a hundred nuclear weapons, because they were sold nuclear power plants which provided them with plutonium fuel that they turned into weapons. India’s reactors were constructed with the help of Canada, the United Kingdom, the United States, and Russia, while Pakistan’s reactors were sourced with help from Canada and China. Neither of these countries is a signatory of the Treaty on the Non-Proliferation of Nuclear Weapons (NPT), nor is Israel, which is armed with up to two hundred H-bombs. And North Korea, which signed the NPT but withdrew in 2003, might have one or several bombs capable of blowing up a city or two. But only Russia and America can destroy evolution, and the creation, which makes them the real terrorists of the world. Why don’t the European countries stand up to America? Where is their courage? Do they need the American nuclear umbrella, with its potential to exterminate them all? Cyberwarfare has made the situation worse. People are hacking into the early warning system in the Pentagon, and also in Russia. There are over one thousand verified attempted hacks into the Pentagon system per day. It’s not clear if they are all separate people. It is within the realm of possibility that sixteen-year-old boys — very smart, minimal frontal lobe development, with little moral awareness — might think it a good thing and a bit of fun to blow up the world. Indeed, in 1974 a sixteen-year-old from Britain hacked into the Pentagon network and into Lockheed Missiles and Space Company, in California. Apparently an order to launch weapons in US missile silos is the length of a tweet. One hundred and forty characters! 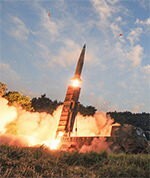 Missile crews then in turn transmit a short string of computer signals that immediately ignite the rocket engines of hundreds of land-based missiles. There are 440 land-based missiles in America, each armed with one or two hydrogen bombs, each many times larger than the Hiroshima bomb. It takes one minute to ignite the rocket engines — sixty seconds. As Bruce Blair writes, “I practiced it a hundred times. We were called Minutemen. US submarine crews in Trident submarines, they can fire their missiles within 12 minutes.” One minute? Twelve minutes? For humans to destroy evolution? Copyright (2017) by Helen Caldicott. Not to be reprinted without permission of the publisher, The New Press. Please tell me if I may share this work, as a link and quotes from it, as I would like to add it in a survey to my `Nuclear Terrorism class as I end it in 2 days. Wanting to complete ideas of what humanity thinks can be done to make wrongs right, as well ask many as I post it around. And soon to have meets in Port Townsend, WA welcoming people to help us restructure our global platform for efficiency for everyone to gain understanding of what together we can do. As we share in the living local process mindfully, for all to give/gain support to be a local, global and beyond mindful participant. Celebrating along the way such goodness humanity offers, including you! 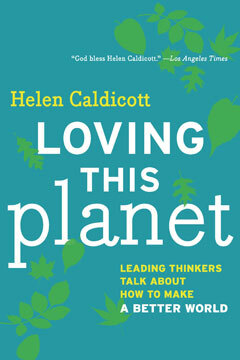 Dr. Caldicott, thank you for this article, your brain just amazes me on how brilliant you are! All these years of your good work, yet look where we are at. I’m pursuing some ideas to help organize, I’m rethinking and apprectiate your work!